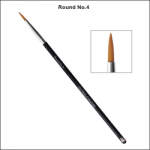 Designed by an award-winning body artist to precisely meet the unique needs of face and body painters, these superior Golden Taklon brushes have that all-important firm spring-back and shorter bristle length, giving you maximum control over your linework. 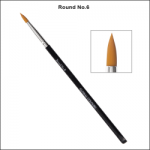 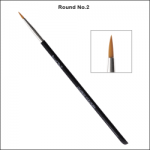 These long lasting brushes have black acrylic handles (no flaking like wooden handles! 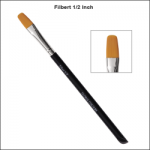 ), a tapered handle for sectioning paints and densely packed nickel plated ferrules that leave no space for water and paint to get trapped – making them easy to clean, and quick and hygienic to dry.